Who doesn't love a good casual look?? I'm always on the lookout for ways to take a few casual pieces and "kick it up a notch". The new trend of blazers paired with casual t-shirts or jeans is an absolute favorite of mine. It's the perfect way to take a casual look and kick it up. I'm loving this trend! 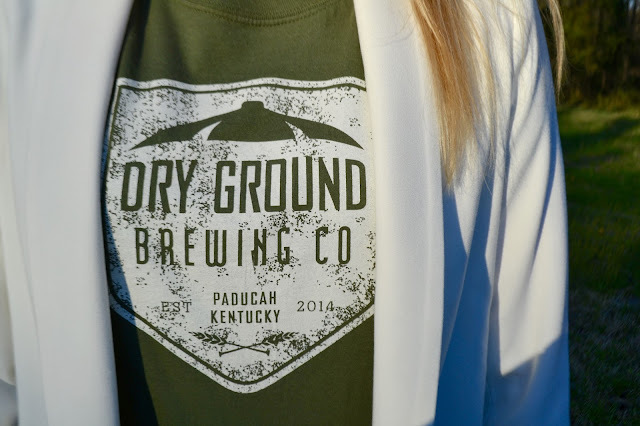 Today I paired this white blazer with a Dry Ground brewery t-shirt from here in Paducah. If you all have the pleasure of popping in here one day, make sure to try the Fresh Plowed! It's my favorite beer that they have on tap. Do you all have anything fun in store for the weekend?! I'd love to hear! As I've said all week, my sweet little momma is getting married... Tomorrow! Holy cow I can't believe it's really here!! Ha! We have several family members that came into town last night and tonight, even more family members arrive! I love spending time with family - especially when we have such an exciting occasion to celebrate. I love the blazer + t-Shirt look!! You look stunning, Kathryn! This is such a cute look! 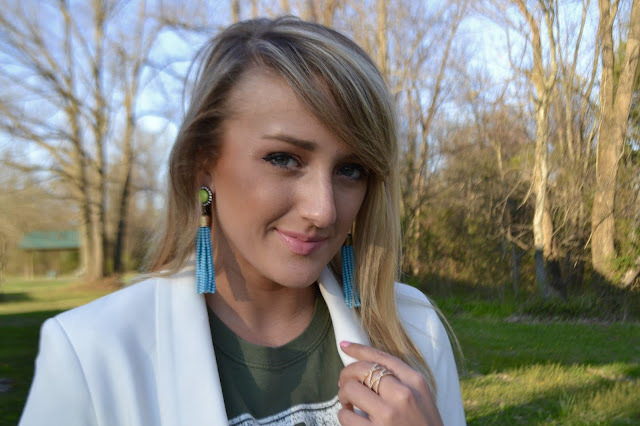 I love the pop of neon from the earrings! Oh, you are so stunning! This blazer is so perfect :) Have a great day! You're so sweet! Thank you, Tamara. 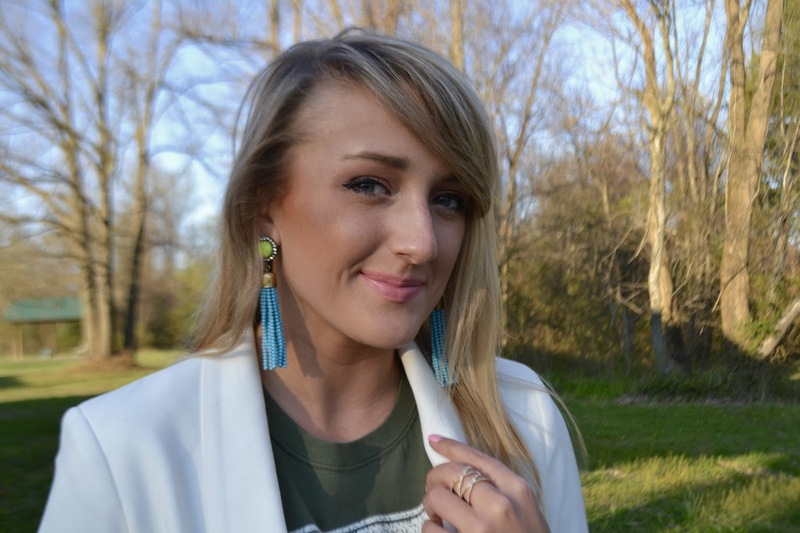 Love how you styled your blazer!